We invite you to participate in the exchange of ideas at this year's Faculty Day Conference. The day promises to be filled with thought-provoking, absorbing and (perhaps) controversial presentations and discussions. Throughout the day you will have many opportunities to speak about your latest ideas and creative work with familiar colleagues, while also getting to meet and collaborate with people from across the entire college community. With lunch provided and refreshments served the entire day, you'll have a unique opportunity to get to know other members of the college and share your thoughts, your concerns and your ideas. 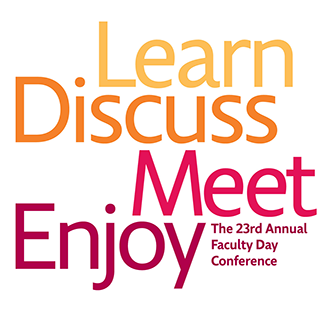 The Faculty Day Conference will renew your enthusiasm for scholarship while reinforcing your sense of connection to the Brooklyn College community. We hope to see all of our full-time faculty, our adjunct faculty, and our professional staff at the 23rd Annual Faculty Day Conference!